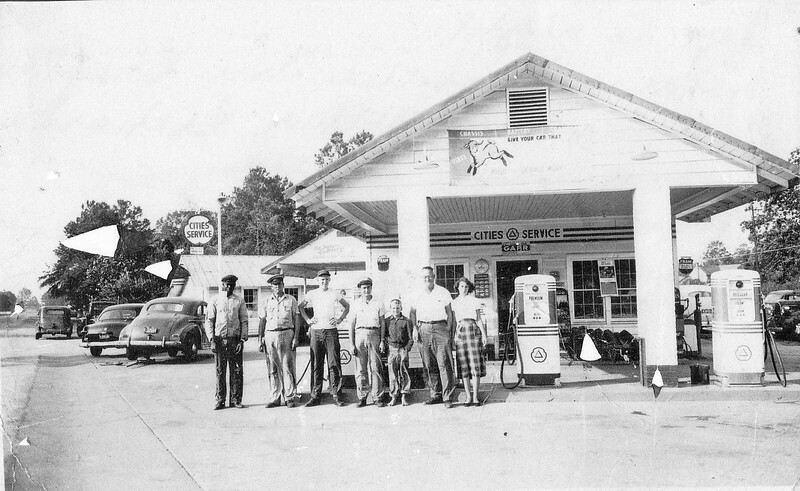 Cities Service Station Five Points, W. Glenn Gaskins, Proprietor. Photo taken about 1950. Left to right: Johnny Russell, Wilson Brogdon, Kenneth May, Arthur Richardson, Pee Wee Gaskins, Glenn Gaskins, Marlene Gaskins. Photo courtesy of Marlene Gaskins Basson.